One of the goals that I set for myself this year was to read more... and while that is so very broad, I did break it down a bit more. My comfort zone is generally classic historical fiction novels - think Charlotte and Emily Bronte, Jules Verne, Kate Chopin, Jane Austen... and also mystery novels from Mary Higgins Clark. A little over a year ago, I had an Audible membership and decided to download A Hitchhiker's Guide to the Galaxy by Stephen Douglas. Narrated by Stephen Fry, whose enunciated witticisms grilled a sense of satiety in delivering Douglas' love of satire and irony, I couldn't have found a better listen on my long bus commutes home from work. At the time, I wasn't really fond of reading science fiction book. It didn't really interest me, but I recall hearing a friend rave about Hitchiker, and thus, I decided it was time to jump on board that spaceship of alien reading and try it out. Audible was the perfect delivery of the story for me, particularly since my bus trips were never comfortable enough to have me carrying a bunch of cargo. Fast forward to today, I stopped at Barnes & Noble to have a look around. Most bookstores fascinate me with the thousands of books with interesting covers and titles. I can easily get lost in a bookstore for hours if warranted. Wandering through their Classics collections, I happened to find H.G. 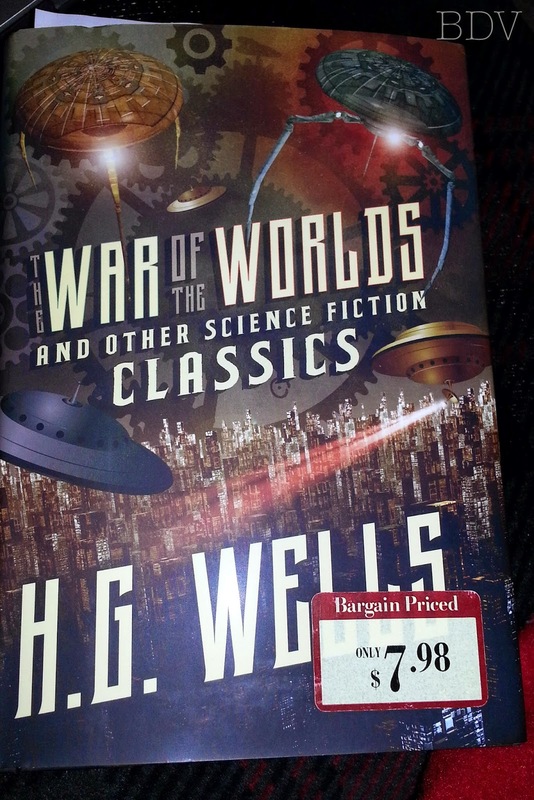 Wells' collection book, which piqued my interest. I had seen bits of pieces of the Tom Cruise rendition of The War of the Worlds, which I thought to be an okay movie... I know better than to not know that the books are always better than the cinematic version. Today, I bought it, for a whole big whopping $8 (plus tax). What do you think? Have you read any of his works and how do you like him? I'm interested in knowing your opinions. On a slightly different note, I will be posting a review of my January reads either in another post, or in a video, so stay tuned.